Thermoplan produces Professional coffee machines that enjoy a great reputation all over the world for their reliability, functionality and their unique features and benefits. However, before our first-class quality products leave our production facilities in Weggis, we need – besides a lot of technical know-how – enthusiasm and passion above all. Of that we have a lot. We are pleased to serve you with innovative solutions according to the motto of our corporate identity and mission statement: "Your challenge is our passion!" You can visit Thermoplan at www.thermoplan.ch. Black&White3 represents another innovation from Thermoplan. Whether Cappuccino, Latte Macchiato or cold milk foam – with the new generation you conjure up wonderful top-quality specialty beverages. Black&White3 is a modular assembly. Maintenance can there-by be carried out quickly and cost-effectively. 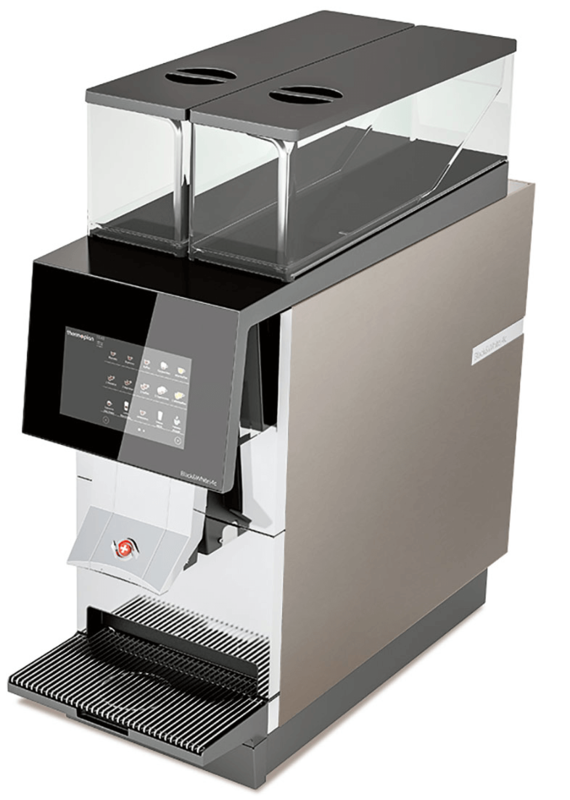 All three modules are exchanged in an instant – that is unique for coffee machines. 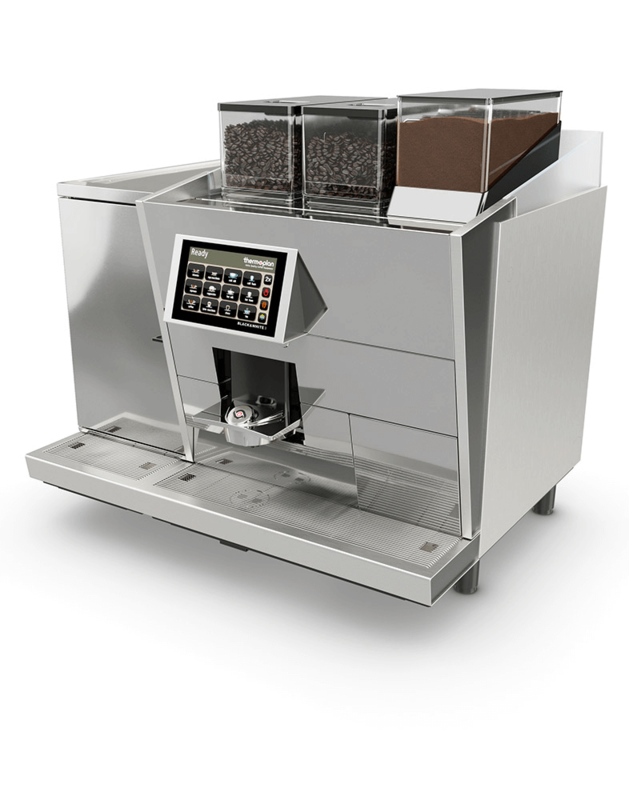 The CTM2 RF whether hot or cold, the CTM makes preparing coffee or milk specialties a success. The machine with the chocolate module. 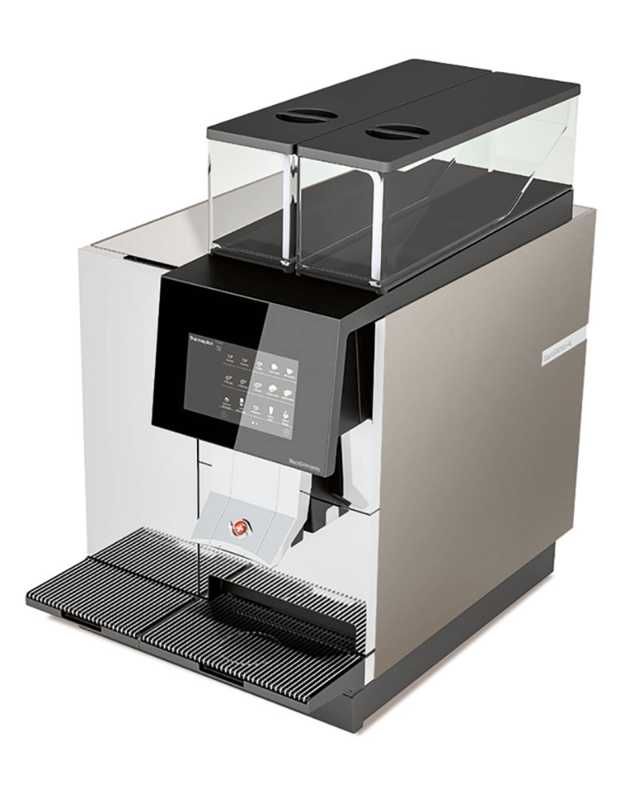 Next to chocolate products, the CTMC also dispenses high-quality coffee and milk specialties, whether hot or cold. Black&White4 represents Thermoplan’s masterpiece in a compact format. 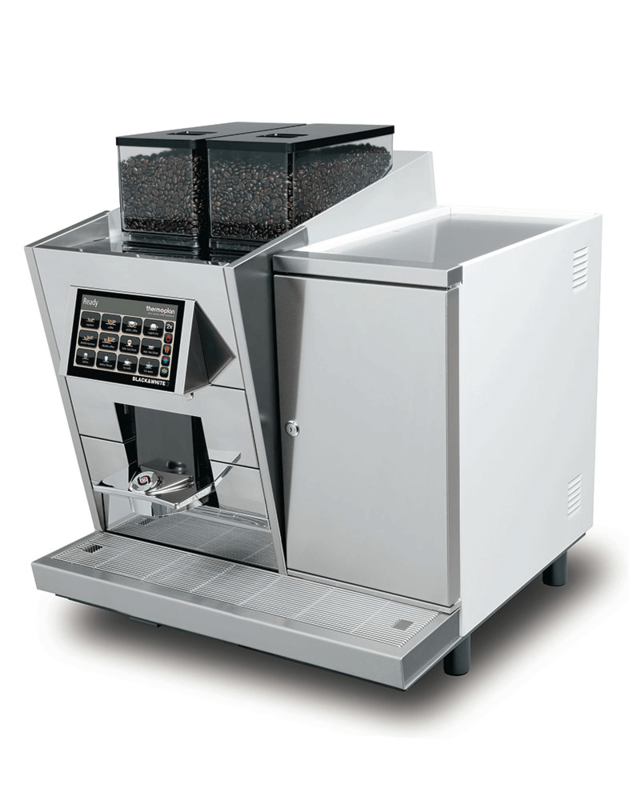 The Black&White4 compact is synonymous with excellent coffee and incomparable milk production. Milk at the right temperature together with smooth milk foam, added to a great shot of espresso create milk-based coffee beverages of the highest quality and taste. The unique modular system of the Black&White4 compact is a Thermoplan innovation and minimizes service times. The unique modular system of the Black&White4 compact is a Thermoplan innovation and minimises service times.